These easy whiskey spritzers are simple to make and full of flavor. Fresh blueberries, lemon juice, and a splash of tonic water make easy whiskey cocktails perfect for summer entertaining. Vegetarian, Vegan. Happy Friday! Have some booze. And, okay, I have a confession for you. 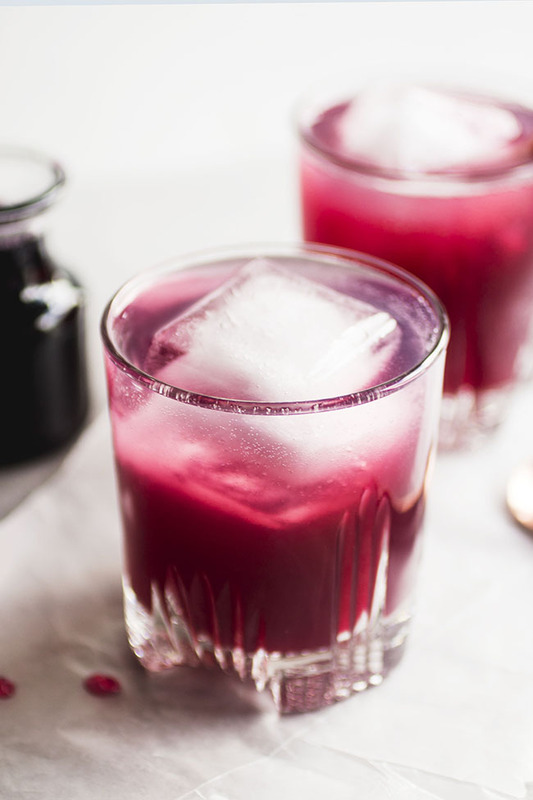 It has nothing to do with these blueberry whiskey spritzers (but also it maybe has to do with these blueberry whiskey spritzers). I’m kind of a blueberry hater. For real though. I have a pretty serious love affair with blackberries and raspberries and (duh) ALL OF THE STRAWBERRIES and basically every other berry ever. But blueberries? Not so much. I think maybe it’s a texture thing. Like, okay, I enjoy blending a handful of blueberries into my morning smoothie and I quite like pureeing them into this jam and then HELLO there’s the whole cocktail thing (exhibit A ⬇⬆⬇⬆⬇). But eating the actual berries by themselves? yuck yuck yuck yuck yuck. 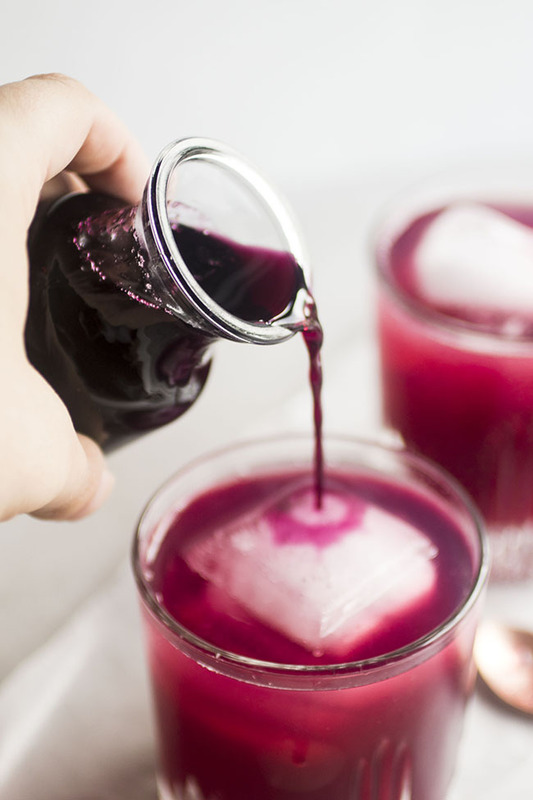 These easy blueberry whiskey spritzers are pretty dee-to-the-licious. 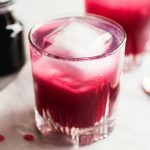 And there are no whole blueberries in sight – just a gorgeous deep magenta blueberry simple syrup that lends a ton of flavor (without making you eat any unnecessary blueberries. Unless you’re into that kinda thing). Also, there is whiskey. Obbbbbbbviously. Blueberry whiskey spritzers make refreshing summer cocktails! Combine sugar, water, and blueberries in a small saucepan over medium heat. 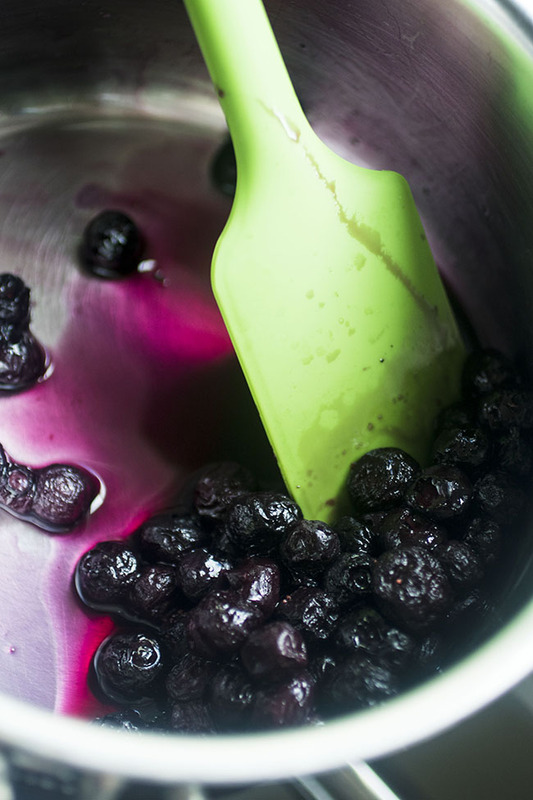 Bring mixture to a simmer, stirring occasionally, and cook until sugar has dissolved and blueberries have softened. 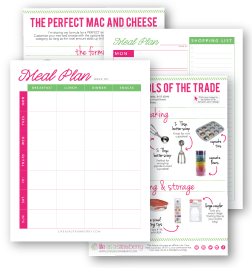 Remove saucepan from heat and let cool for 10-15 minutes. Strain syrup into a separate bowl to remove the blueberries and set syrup aside. Save the berries for smoothies or jam! Add a few ice cubes to four cocktail glasses. 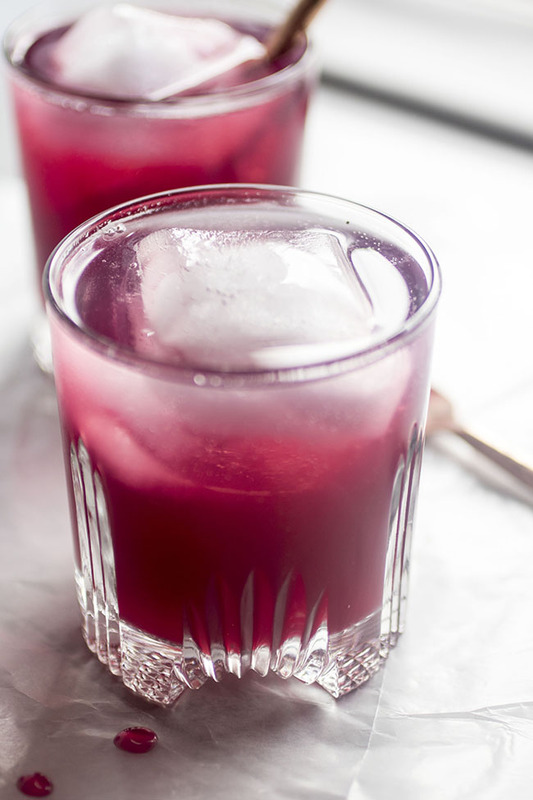 In a large shaker, combine whiskey, lemon juice, and blueberry simple syrup. Add a handful of ice and shake to chill. Divide drink evenly between your four cocktail glasses. Top each cocktail with a splash of tonic water and serve immediately. Feel free to adjust the ratios of cocktail ingredients to suit your tastes. This makes a very slightly sweet drink, but you can increase or decrease the amount of blueberry simple syrup to play with the sweetness. If you taste the drink and think it needs a little more of any one thing, just add a splash and give it a stir! These cocktails are very forgiving and easy to tweak. This cocktail would also be great with fresh basil or rosemary! Muddle some herbs into the cocktail shaker before mixing the drink or add a few leaves while you cook the simple syrup for impart a subtle, earthy flavor. You can make the blueberry syrup a few days in advance and store it in an airtight container in the fridge until you’re ready to use. You’ll have some extra syrup after making this recipe – use it in other cocktails, in salad dressings, or as a sweet addition to your morning smoothie! To dress these drinks up a bit, garnish with fresh blueberries and a slice of lemon. You could also use champagne or club soda in place of the tonic water. This is professional grade! My guests enjoyed this drink immensely! !